It’s certainly arrived with a lot of fanfare, but the movie is so polite in a very British sort of way, that it will leave many feeling like they’ve appreciated it but aren’t totally satisfied. Einar Wegener (Eddie Redmayne) is a lauded painter in Denmark in the 1930s, who is keen to help his fellow artist wife Gerda’s (Alicia Vikander) career, whose paintings are far less respected. When she encourages him to wear a dress as part of an artist’s modelling session, it is the beginning of the outward expression of something Einar has held inside up until that point. With Gerda’s help, Einar’s alter-ego, Lili, is brought out. Initially it is something that happens just within their home, but eventually Lili begins to go out into the world, presented to people as a completely separate person – she is Einar’s cousin from the country. However, Einar increasingly feels that allowing Lili out into the world occasionally isn’t enough, and that Lili is who she really is and this is who she must live as permanently. This leads Lili on a journey to try to discover who she truly is. She mainly discovers professionals such as doctors and psychiatrists think she is insane, delusional and possibly in need of being locked up in a mental asylum, until she discovers a doctor who will listen and may have a surgical solution. While Gerda supports Lili’s journey, she increasingly begins to wonder whether their love is strong enough, and whether there will still be room for her after her spouse’s transition. The Danish Girl is an absolutely gorgeous film to look at, with great lighting, cinematography and locations. It has well-handled direction (as you’d expect from Les Miserables and The King’s Speech’s Tom Hooper), great performances – particularly from Eddie Redmayne and Alicia Vikander – and an interesting subject. What it’s slightly lacking though is a real feel for what’s going on under the skin of Lili and Gerda’s story. You learn a lot about what happened, but it never quite finds works out who these people are or the complexity of the issues they’re dealing with. I suspect it’s slightly deliberate, with the makers thinking that due to the fact many people still treat transsexuals as an ‘other’ – people who are fundamentally different to them – keeping the main characters fairly open will help a wider audience empathise. However, it also means it’s not as involving as it ought to be, sometimes feeling more like a worthwhile history lesson than a film. It’s never bad and it is an enjoyable watch, but there’s the constant nagging feeling that it’s like an absolutely beautiful picture that never goes beyond the surface of the subject. It’s a painting that will sell, but that’s largely because its maker is more concerned about the populist than the art. Even the love between Gerda and Lili, which wants to be the spine of the film, feels like a filmic contrivance (even though it’s true), even if it’s effective. I would like to be more effusive, but no matter how many good aspects there are to the movie, it’s still a slightly missed opportunity. 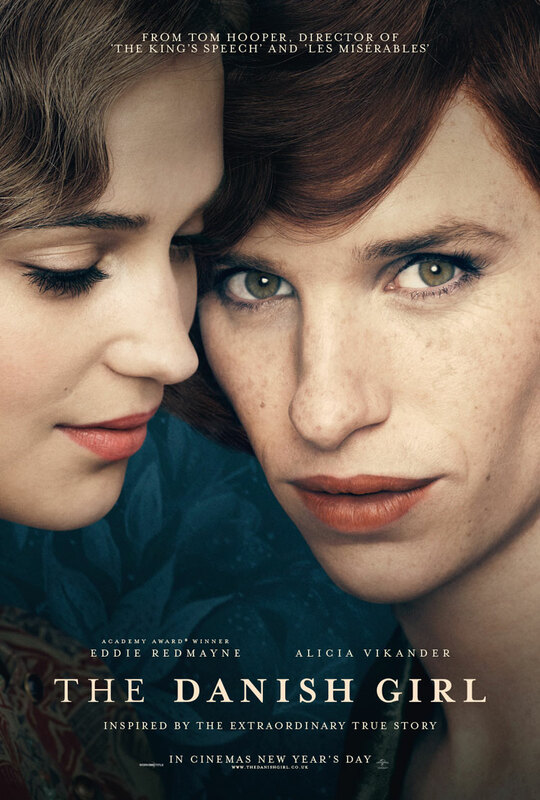 It’s great to see mainstream cinema taking a serious look at transgender issues, but while The Danish Girl may score a few Oscar nods (it seems to be built from the ground up to be Oscar-bait), hopefully in future Hollywood can make trans-themed movies that aren’t just interesting stories, but also offer more depth. Overall Verdict: Every element of it is classy and it’s never less than interesting to watch, but it’s so classy and contrived to be mainstream (and Oscar-worthy), that it smooths out the depth and full interest of the tale.